Glenn Greenwald’s Verizon story: Government surveillance of phone calls should alarm more than the press. Is the Government Snooping Through My Phone Calls? Maybe. Either way, this invasion of privacy affects us all. 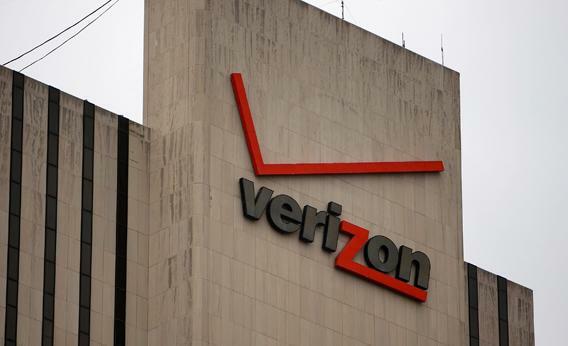 A Verizon logo is displayed on a building June 5, 2008, in New York City. The order is to Verizon Business Network Services through MCI, a provider for many small businesses and perhaps for individual customers, too. It may well not be the only one: Greenwald’s previous reporting, and the veiled warnings about surveillance that have been coming from Sens. Ron Wyden and Mark Udall, suggest that the government is collecting data from other companies as well. “[T]here is now a significant gap between what most Americans think the law allows and what the government secretly claims the law allows,” Wyden and Udall wrote in a letter to Attorney General Eric Holder last year, as Greenwald points out. How did we get to the point where the government can secretly ask to vacuum up huge amounts of personal data? This is not a hunt for a known suspect. If it were, the court order would be targeted against a person or a network. It’s an enormous fishing expedition. For this we first owe the Patriot Act, passed after 9/11. In fact we’ve been here before, when President George W. Bush in 2001 authorized mass collection by the NSA of phone, Internet, and email records. When USA Today reported about all of this wiretapping without a warrant in 2006, it was the first time the public learned about the data mining of calls and emails that didn’t originate or end abroad. Previously, Bush had said that the surveillance was only targeting foreign communications. Lawsuits were filed to challenge the government, and Congress stepped in with a 2008 bill to expand the government’s data collection powers under the Foreign Intelligence Surveillance Act. Barack Obama was a presidential candidate at the time. At first he opposed part of the bill—the part giving telecom companies immunity from suit—but then he decided to support it nonetheless. As Greenwald pointed out at the time, the Foreign Intelligence Surveillance Act already gave the government a wide berth to spy. The 2008 amendment expanded the government’s powers by allowing it “to engage in ‘vacuum-cleaner’ surveillance of U.S. facilities,” as Marty Lederman put it, when there was no way to know in advance if a call was international or the caller was a foreign power or its agent. Google has recently been trying to challenge the government’s power to make it hand over data in response to National Security Letters, which the FBI uses to demand subscriber information, like phone numbers, email addresses, and Web history, from providers and credit card companies. Google won in district court in March, and now the U.S. Court of Appeals for the Ninth Circuit has the case. Should you care about the government secretly trawling through tons of communications data? At Slate, some of my colleagues are shrugging—one jokes that he’d be happy to sign up for a spy-friendly phone service at a reduced rate. “Have fun listening to those voicemails from my mom recounting her basset hound’s latest antics, NSA!” he writes. “I’ll be laughing all the way to the bank.” He has a higher tolerance for snooping and potential embarrassment than I do. But as Greenwald points out, even if you think the NSA can have your data if it will help them catch the bad guys, “You should want transparency.” And under Obama, as compared with Bush, we are increasingly at risk of less and less of that. Don’t forget the unprecedented number of leak investigations, the government’s decision to go after the AP’s phone records, and the Justice Department naming Fox News reporter James Rosen a criminal co-conspirator his reporting, and its insistence on trying WikiLeaks source Bradley Manning for aiding the enemy even though he has already pleaded guilty to charges that could send him to prison for 20 years. Yes, all of this directly affects the press and government sources, not everyone else. But the press is still often the vehicle for how the public finds out about government abuses. And now we are likely to see an investigation of the leak of the FISA court order to Glenn Greenwald and the Guardian, according to Pete Williams of NBC. Why not, after all—once the Justice Department is in the business of demanding information from reporters about their sources, why wouldn’t they want to know about this leak, too? Greenwald tweeted this morning, “Dear DOJ: your bullying tactics will scare some sources, but they embolden others, who realize what USG is becoming.” Good for him. He is the perfect person to be in the middle of this, and I hope he’s right. But I worry that more spying breeds more secrecy and that’s where we are heading.